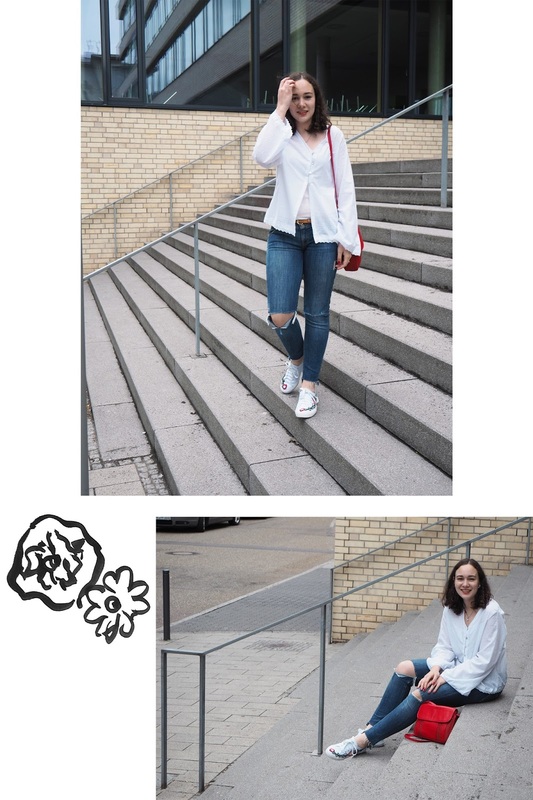 The time is here: I can finally show you the first outfit with my new DIY floral embellished sneakers (see the step-by-step tutorial here). The first of many, I promise! 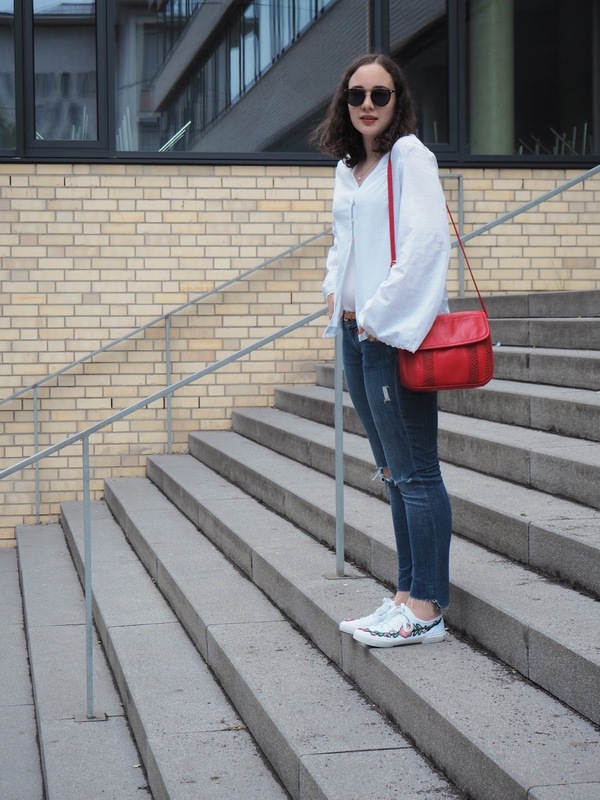 As you should know by know, white sneakers are my thing - my white converse are defenitely my most worn shoes ever! 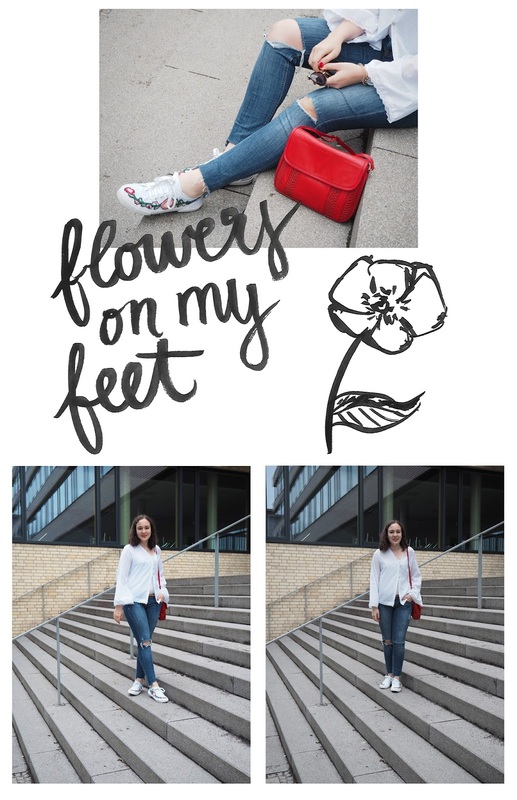 But I don´t only like white sneakers, but I have an equally big love for flowers - I even hang prints of them on the wall, so that I don´t need to buy new flowers every week #studentproblems. Obviously, the two of them combined makes the perfect match. 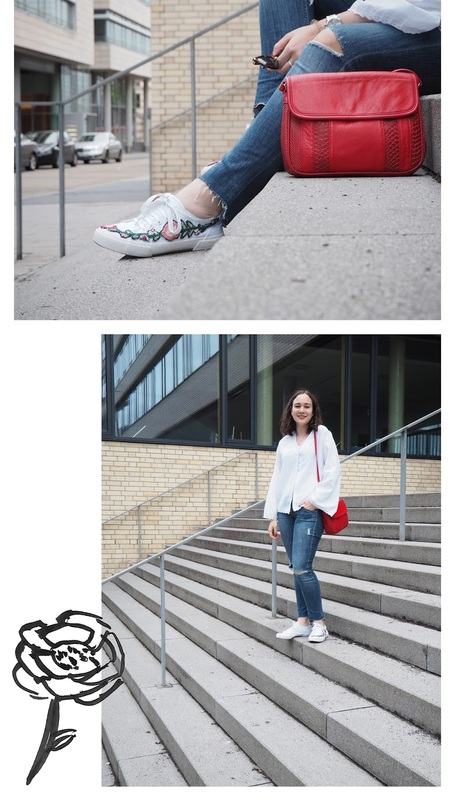 If I wasn´t on a student budget, I would probably have gone into the gucci store immediately to splurge on the amazing floral sneakers. Of course, that didn´t happen, but I still got my hands on them, just in a different way. I styled them up with some ripped denim and a flowy blouse and a red bag that matches the shoes perfectly. I feel like I could talk about these shoes for ages because I love them oh so much (and also am a little bit proud of how they turned out), but I think I´ll save that for the many posts to come. 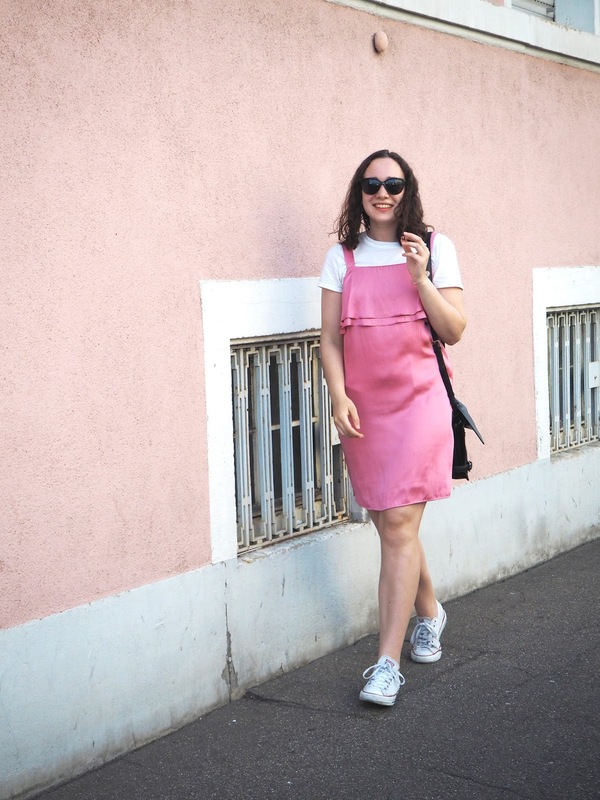 I also just noticed, that most of this outfit is DIY, which I love, but I will defenitely look for similar items online and link them below. Have a nice weekend!